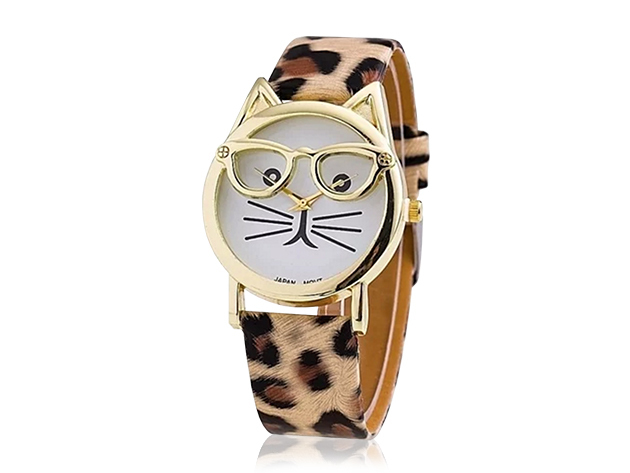 The Purr-Fect Watch is even moisture- and dust-resistant so you don't have to worry about life's not-so-perfect moments ruining your new watch. Marked down 75% off of its original price, this amazing watch is only $14.99. Pick one up for yourself and a few for your cat-loving friends, too. Check out some of our other favorite jewelry finds below! And remember, all jewelry includes free shipping to the continental United States! The Beach Girl Bangle ($28.98) makes for a wearable memento of the salty summer life. So even when winter has fully arrived, you can remember sunnier days ahead. Maybe a glass of vino is more your style? In that case the hand-stamped Swarovski Crystal Wine Charm Bracelet ($28.98) is the ideal pairing for any outfit! The Mermaid Turquoise Anklet ($13.12) is a perfect gift for you beach-loving girlfriend or a special little treat for yourself! Show off this charming accent on your yoga mat or while sporting your favorite sandals.